These really are my favorite cookies. Not just because I make them but because they are oatmeal, chocolate chip, and coconut macaroons rolled into one. I call them trail mix cookies because they remind me of good trail mix from trader joes. So with oatmeal, chocolate chips, coconut, cranberries, and walnuts you can take on what ever is ahead of you, a long trail or the sofa and a movie. 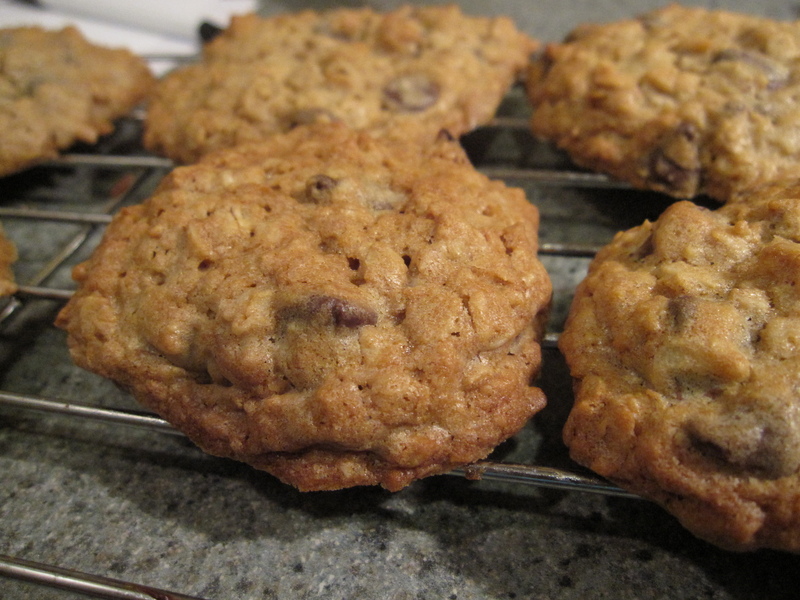 These were originally cinnamon chip oatmeal cookies off of a package of cinnamon chips but as time went on I started to mess around and bake them differently every time until reaching this. So cinnamon chips became chocolate chips, then I added in nuts, then coconut, then cranberries. 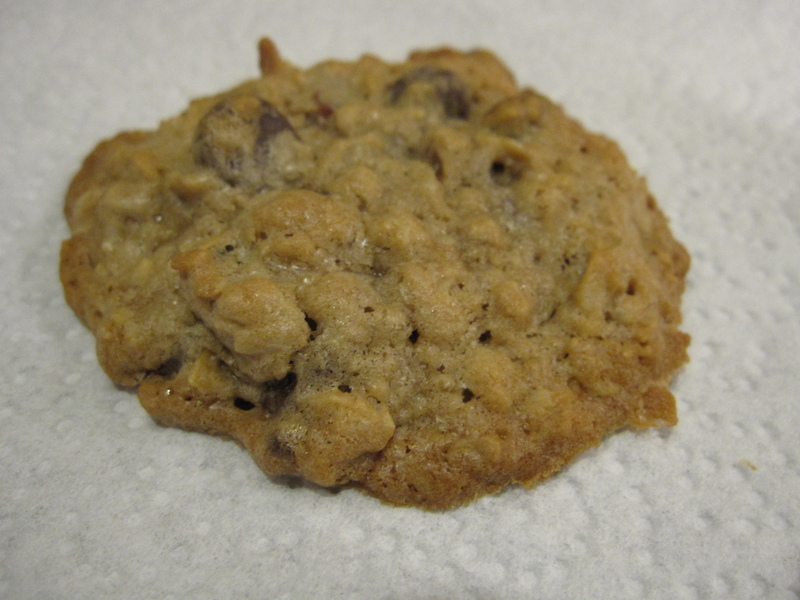 Everything worked together to become a chewy oatmeal cookie packed with goodies. Typically, I make cake for our monthly staff meetings as a way of celebrating the birthdays that month. Things have ranged from Tres Leche Cake to Chocolate Cake with Peanut Butter Frosting. I kinda felt bad for not making a cake this month but I was not in the mood to make cake. Just plain and simple, I wanted to make cookies. So on Thursday morning I got up when Price was getting up for work @ 5.20 and started to make cookies. Having 1 for breakfast was a great way to start the day. I don’t think people minded having cookies instead of cake, esp when I saw some people stack up a few on a napkin as they went into the staff meeting and then grab some on the way out. After work I brought over the extras to Price’s class. True story- I got on the wrong train. I could have taken the B,C, or the D there but I got on the E line. 6+ years in Boston and I get on the wrong train! What makes it even worse is that I could have gotten off and waited for another or walked but I w as not paying attention for my last chance to fix the situation so I had to walk through the mall to get back on course. What the hell? 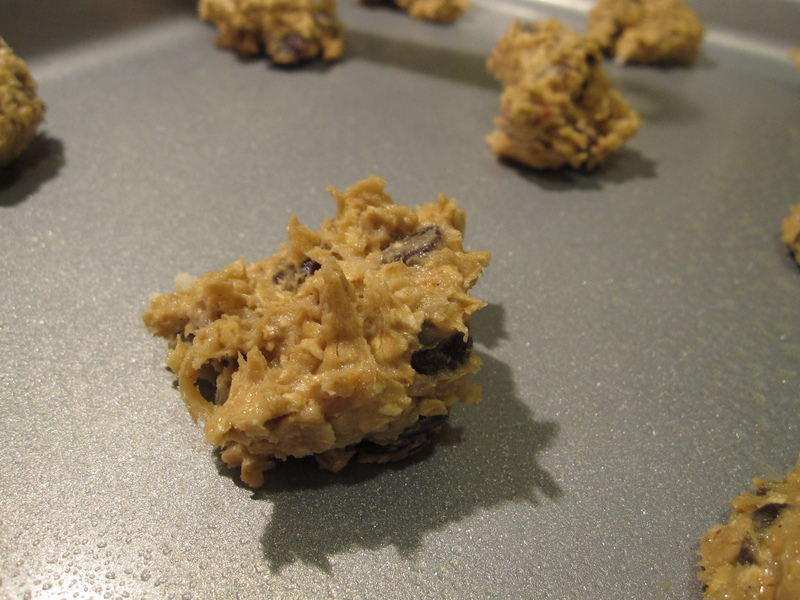 Prepare baking sheets with nonstick cooking spray or line with parchment paper. 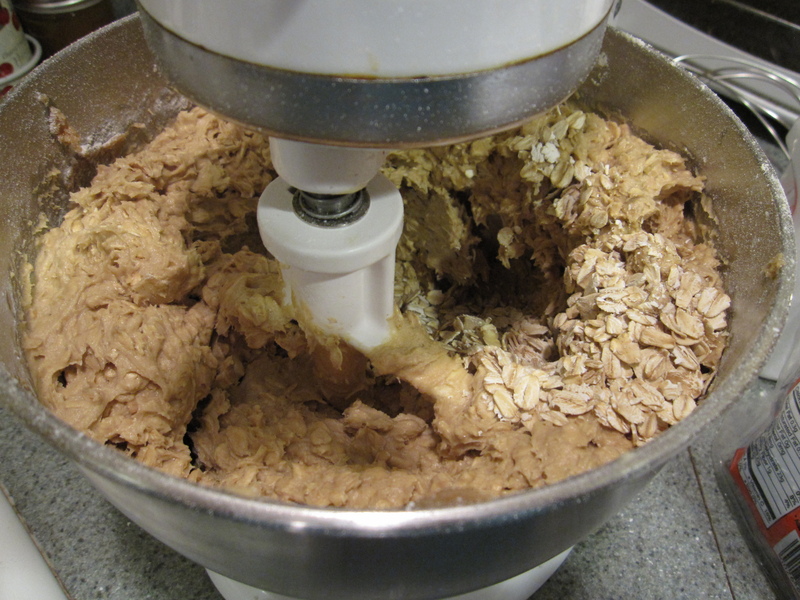 Combine the flour, baking soda, and baking powder in a small bowl, set side. 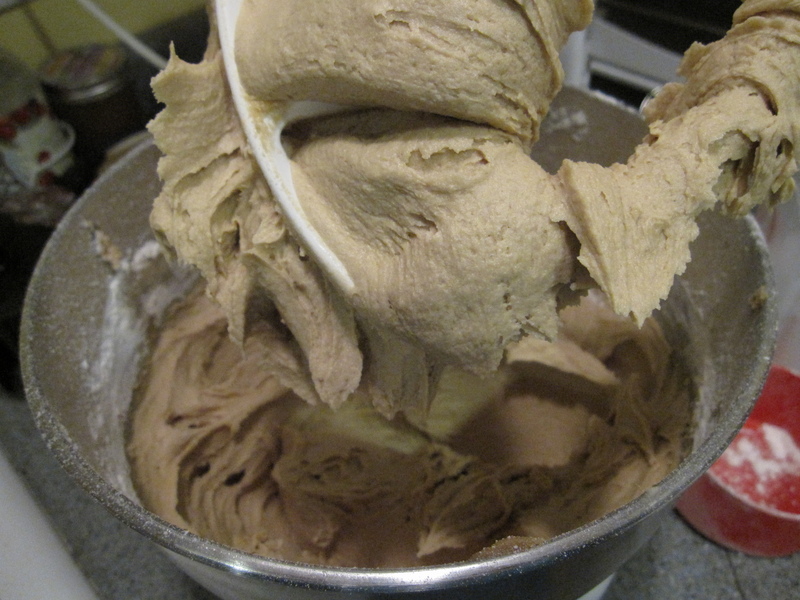 Cream together the butter and sugars on high until creamy. Add the eggs and vanilla, mix well. 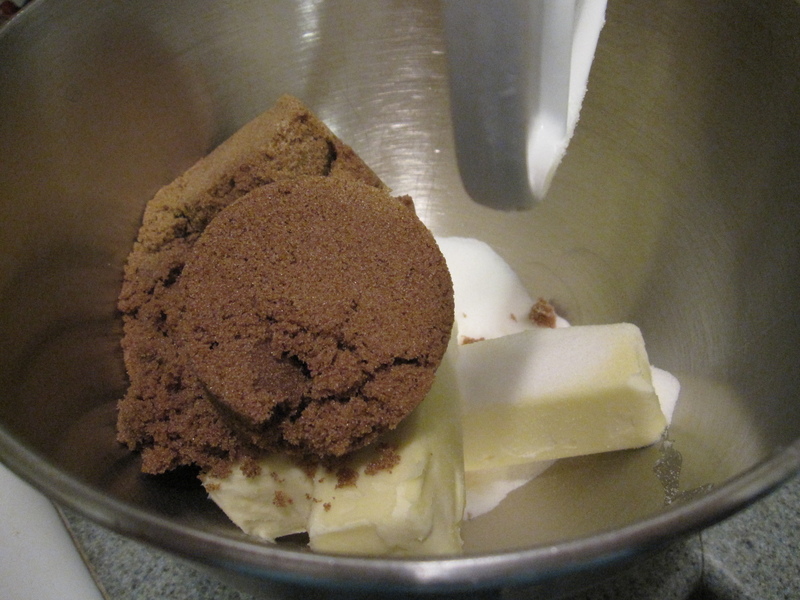 Add the flour mixture to the batter in batches. On low-speed, add the oatmeal, chocolate chips, coconut, nuts, and cranberries until combined. Form cookies and place on cookie sheets. Bake for 10-12 minutes. 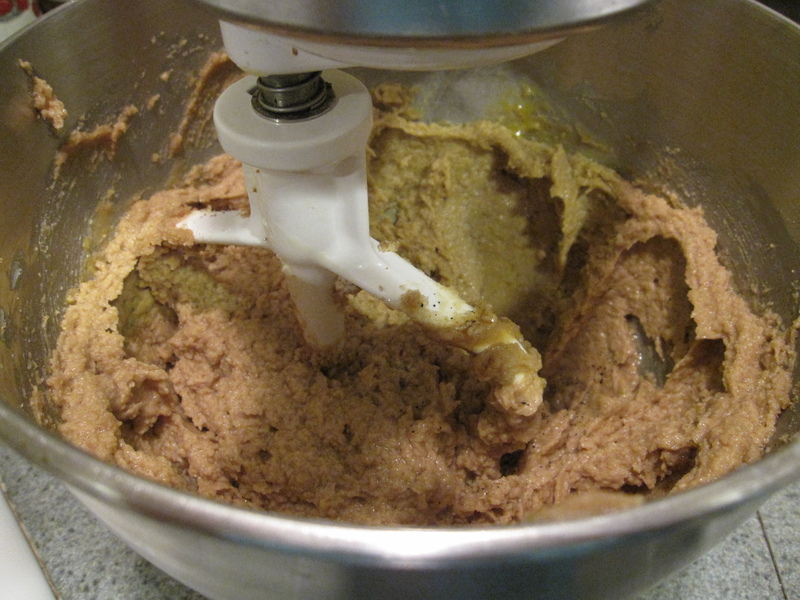 Recipe produces 6 dozen 2 in diameter cookies, larger cookies will result in a lesser number and will take longer to bake.